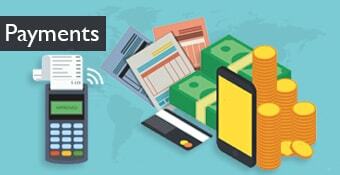 The course discusses various payment systems and the future of payments both in India and in US. This course is ideal for participants interested to understand the various payment systems, including the systems in India and the USA. A Dynamic professional with 20 years of experience in Banking and Information technology services with focus on Software Test Management and business analysis. He has an in-depth understanding of all processes and systems connected with the banking industry. Balaji has worked in multiple banks and his last assignment in a leading private sector bank was the Branch Manager. He later moved on to Information technology and worked on multiple banking implementation projects. Being a Senior Project Manager he manages complex and critical banking implementation projects at client site with a big team.